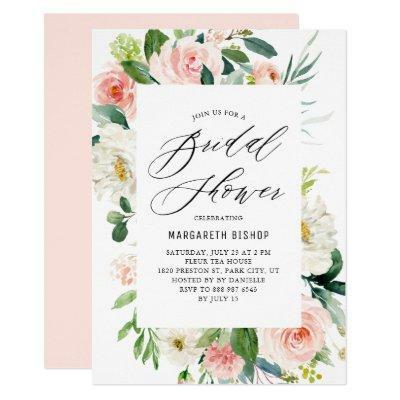 Romantic Watercolor Peach Florals Bridal Shower Invitation. Customizable bridal shower invitation featuring elegant script, watercolor peach and ivory peonies and roses with greenery accents. The perfect invitation for spring and summer events. Matching items are available.